I get messages almost daily asking what I’ve thought about my experience at the University of North Dakota, so I figured it’d be helpful to write a little overview of my experience so far. 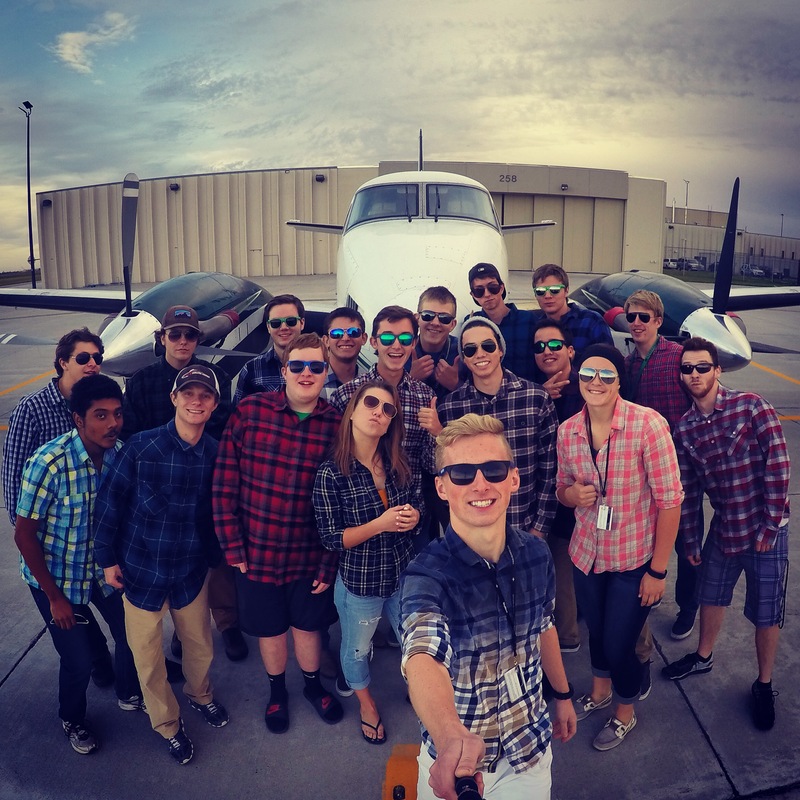 My flying at UND began with an Aviation (AVIT) 112 transition course to integrate my already held private pilot’s certificate into the UND training environment. My class of entering private pilot freshmen participated in a test course which combined AVIT 102/112 (the private pilot ground school and flight course) with AVIT 221 (an instrument flying course and ground school). AVIT 102/112 was taught for the first 8 weeks of the fall semester, with accelerated AVIT 221 in the last half of the semester. This new course allowed us to combine two accelerated courses into one semester, which ended up working really well! It was a lot of work and time, with tests in ground school classes nearly every week and flight training labs up to 6 times per week. Overall though, the experience was a good one. But not everything is easy to deal with at UND, especially when transitioning to a highly outlined Part 141 training environment, which was something completely different from the Part 61 training that I had been used to. The following spring, I finished up instrument training in AVIT 222, a course culminating in an instrument stage check (just like an instrument checkride)… The only difference being that I didn’t actually receive my instrument rating until completing the full training course outline (TCO) for UND’s commercial syllabus. 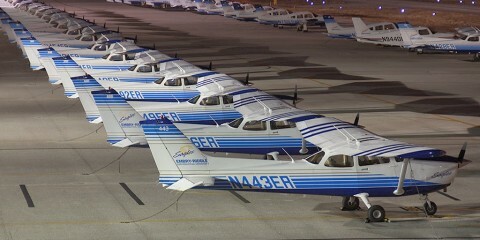 The commercial syllabus combines instrument, commercial, and multi-engine flying into 4 semester-long courses. Unlike many other schools, after completing instrument training and commercial training, you don’t receive a new rating or certificate. Since checkrides are done in-house by UND stage pilots, you only receive a new certificate at the end of the TCO (an instrument, multi-engine, commercial certificate). Don’t worry though, this only applies to the commercial TCO. If you’re taking Private Pilot, CFI, etc., you’ll receive new certificates right at the end of your course. 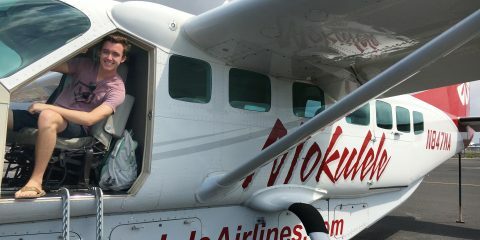 I took an extra semester of flying during the first six weeks of summer following the end of freshman year. It was an intense six weeks, with enrollment in AVIT 323 (aerodynamics) and AVIT 324 (aircraft systems)… Not to mention finishing up the commercial flight course! During the fall of 2016, I flew Piper Seminoles for multi-engine training. Upon completion of that course and a final checkride, I became a commercially licensed pilot with instrument and multi-engine ratings. So glad you found the right place….for you! When you take your wonderful videos, how do you attach the camera (Go-Pro-like I suppose) to the airframe? Also, can you give an example of the cockpit checklist difference for Part 141 in say a C172 vs. Part 61? Just interested. Do they allow you to try a landing during a lesson with high crosswind component and what technique do you prefer, crab, bank, combination, or something new? Great read and outstanding flight footage! I’m a Flight Science major myself and I very heavily considered attending UND, very cool to hear about the program from an active students position! I am currently attending Western Michigan University and loving every minute of it; flight students know how to live! Perhaps i’ll see you in the industry some day; clear skies! That’s awesome to hear you’re loving WMU – It’s a great school! Hope you enjoy the rest of your training there. That stinks you can film your flights. Why do they restrict it? It’s because there have been a few instances of student’s trying to adjust cameras while flying solo, not paying attention outside of the cockpit, or doing something dumb while flying “for the photo.” It’s not 100% restricted. You can’t do it while solo, and if you’re with an instructor you can record in a non-critical phase of flight as long as you’re not the pilot-flying. Why do they restrict filming? I am currently doing my A Levels in Pakistan. I had like to know what subject courses I need to study to become a professional commercial pilot? Also I would like to know that are glasses (not talking about sunglasses), are they allowed for a pilot? I review your web daily, great articles you have posted out there.